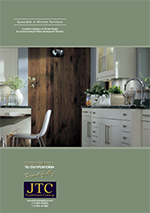 Please find below, a range of brochures from manufacturers of products that we use. You can open the brochure by clicking on the cover photograph. JTC Furniture Group has developed a range of fitted furniture designed and detailed specifically for the private development market. 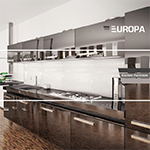 Europa combines the very best in European design with a service offer developed over 25 years experience of working with UK housebuilders in the design, manufacture and installation of kitchen, bedroom and bathroom furniture. Of course, as a key element of your property the garage door should offer great kerb appeal but at Garador we also believe in safety, security and convenience. 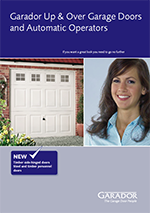 We have therefore designed this brochure to highlight the main features and options of our garage doors thus allowing you to make an informed choice. Perla is a complete system of wall panelling which is a perfect partner for your shower or bathroom installation. The profiles which complete the system are designed to match the chrome profiles of your shower enclosure and taps and fittings. 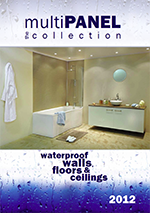 The multiPANEL collection is a family of waterproof walls, floors and ceilings ideal for bathrooms, shower areas, kitchens and all around the home. Easy to install and even easier to maintain, the cost-effective ranges offer endless opportunities for both renovation and new-build. 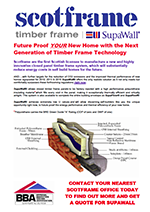 Future Proof YOUR New Home with the Next Generation of Timber Frame Technology. Scotframe are the first Scottish licensee to manufacture a new and highly innovative closed panel timber frame system, which will substantially reduce energy costs in self build homes for the future. Since 1980 Swan-Robes has been building a reputation for outstanding quality, service and performance. Even today those commitments haven't changed with safety being the key feature in all products; which is why Swan-Robes continues to provide quality products that will ensure many years of trouble free operation. 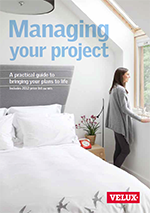 In this guide you’ll find practical hints and tips on how to make your project come to life, how to hire tradespeople and how to manage your budget. It also gives you product information and prices for all the VELUX products you wish to use. External Joinery products create the first impression where real individuality can be achieved through the correct choice of product and finish. At XL we understand this and to complement our established range of external doors we are introducing a range of high performance energy efficient Timber Windows. Our range of French Doors and Folding Sliding doors have been upgraded and now come pre-finished as standard. As with all XL products our new ranges are tested to the highest standards both in-house and by certifiers to ensure the products meet the stringent demands of everyday life and all relevant British Standards. 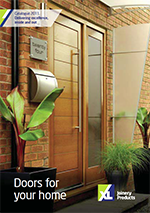 At XL Joinery our commitment to providing our customers with one of the widest choices of internal and external doors continues with the introduction of numerous new products for 2011.